Includes mouth-watering recipes. Rosie Hopkins, newly engaged, is looking forward to an exciting year in the little sweetshop she owns and runs. But when fate strikes Rosie and her boyfriend, Stephen, a terrible blow, threatening everything they hold dear, it's going to take all their strength and the support of their families and their Lipton friends to hold them together. After all, don't they say it takes a village to raise a child? 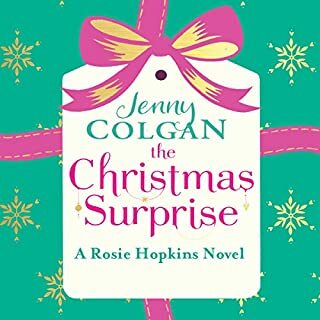 Treat yourself and your friends to Jenny Colgan's heartwarming new novel this Christmas. Easy Listen, lovely to catch up with Rosie. Another fabulous Rosie Hopkins book with a superb Christmas feel. It was Narrated beautifully too. There must be another in the pipeline. Hopefully! !